The CM-140PMCL-UV is a monochrome area scan camera equipped with a special UV-sensitive CCD. 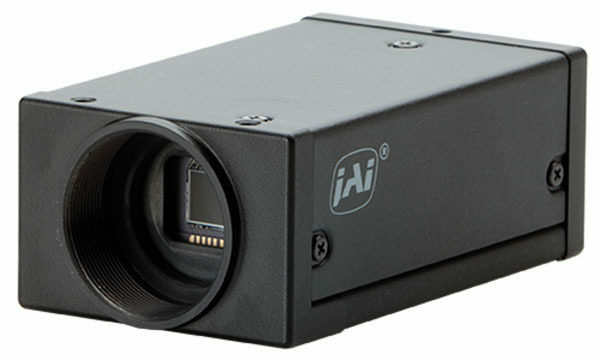 It provides 1.4-megapixel resolution at 16 frames per second, with 8-bit or 10-bit output. Features like ROI readout and a sequencer function make it a versatile performer for a wide range of applications requiring sensitivity below 400 nm. Equipped with the Sony ICX407BLA CCD imager, the CM-140PMCL-UV is able to extend its sensitivity to below 200 nm, allowing visualization of smaller features than those which can be seen using visible light. Traditional CCD cover glass blocks UV imaging, but glassless imagers can be easily dirtied or damaged. The CM-140PMCL-UV’s imager is protected by a quartz glass cover which protects the sensor’s surface while allowing UV rays to pass. Like other C Series cameras, the CM-140PMCL-UV features a low profile design with top and bottom mounting holes, enabling them to fit easily into many types of machine vision systems. A Power over Camera Link interface with Mini-size connector offers ultra low latency and high performance. Pharmaceuticals – Vision systems for track and trace, pill sorting, inspecting vials and ampoules, and many other applications, often need to be able to”see” invisible product codes, lot numbers, or other markings. Electronics and Corona Inspection – Solar panels and other types of electronics may need UV imaging to look for signs of current leakage or other defects. UV cameras are also used to inspect power lines and transformers where non-visible “coronas” can indicate electrical problems.